Well, this is exciting! My first ever guest post! 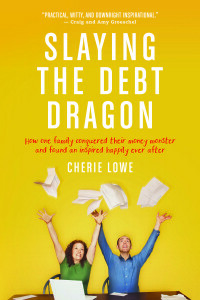 Cherie Lowe, author of Slaying the Debt Dragon and purveyor of wisdom on her popular website, www.queenoffree.net, shares the first step to getting out of debt in this excellent post. Enjoy! Being in debt is a lot like being in the dark. I’m not talking about bedtime dark, where you can still see a stream of light from the moon or the gentle glow of a night-light in the hallway. No, being in debt is like sitting alone in darkness so pitch-black, so completely devoid of light, that you finally squeeze your eyes tightly shut, praying when you open them there will be some glow, even if it’s just the faintest illumination. No one could have made this many mistakes. No one else could feel this out of control. No one could have been that dumb with their money. No one else could have let a credit card balance spiral dizzily beyond reach (even though you were using it only for emergencies). No one else could have felt the pressure to keep up with others by spending money that was not her own. No one could feel this scared about not having a secure future. No one else could be under this kind of pressure. So lonely. So in the dark. You are not the only one struggling to escape the darkness of debt, even excessive debt. A great number of people have shared their lonely stories with me—either on my blog or in person—over the past five and a half years. A lot of them are slaying debt dragons right now or at least trying to figure out what weapons to use to begin the battle. And some have fought and won their battles already. There is actually a large community of people who make hard choices to get out of debt and spend less than they make every day. But back to those feelings of darkness. When those “no one else could have” statements float around in your brain, you begin to believe the lie that you really are the only one who has this nasty debt problem. Then the gloom you’re stumbling around in creeps into your very soul, along with its partners in crime, shame and guilt. That darkness will keep you from sharing your story, preventing you from getting the help you need to get out of debt. It will also hinder you from offering hope to others who are on the same path, feeling just as alone as you do. Darkness is an evil fiend—a dragon, if you will—that casts some sort of spell paralyzing us all. In the beginning, it was difficult for my husband, Brian, and me to “go public” with our story. I mean, come on—we haven’t always been the people who have paid off $127,482.30 in debt. Back in April 2008, we were the people who had $127K+ of debt. It’s much easier to share your story when you have kicked a few debt dragons in the teeth than when you have one (or twelve) breathing fire down your back. And that’s why I committed to continuing to tell our story, even after there was victory. Because I know what it’s like to feel alone and in the dark. You are not alone. Cast out the darkness and tell your story. Be honest with yourself and others about your finances so you can begin the path to victory over debt. Get the help and hope that you need to begin defeating your own debt dragons. You see, the first step to getting out of debt doesn’t involve elaborate spreadsheets. Honestly, it isn’t about cutting up your credit cards, either. It’s not even establishing an emergency fund. No, the first step is simply to lift your eyes up and believe that the dragons can be beaten. 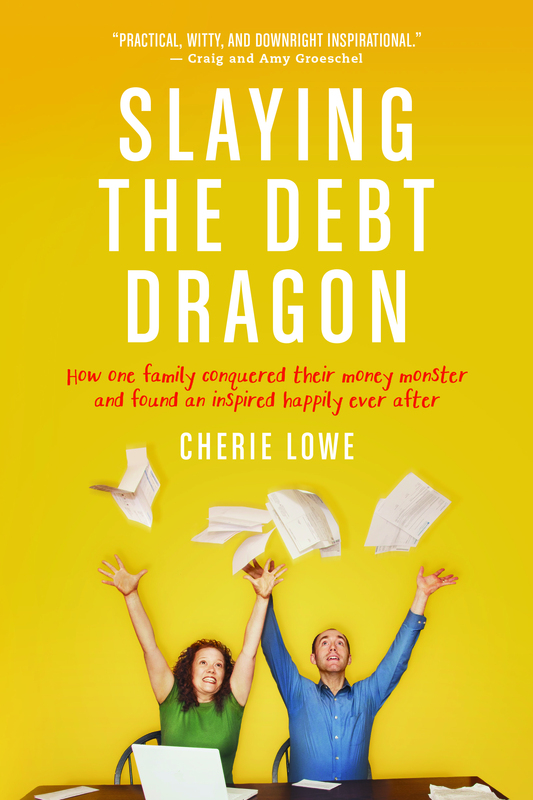 Slaying the Debt Dragon provides the proverbial hope and the practical help your finances need this year. There is a way out. You are not alone. Pick up your sword and begin battling your foe. Since 2008, Cherie Lowe has been confidently wearing a plastic crown and encouraging others to dream big dreams. Together with her husband, Brian, Cherie paid off $127,482.30 in a little under four years. She scribed the ups and downs of their debt-slaying journey on her popular website, www.QueenOfFree.net. 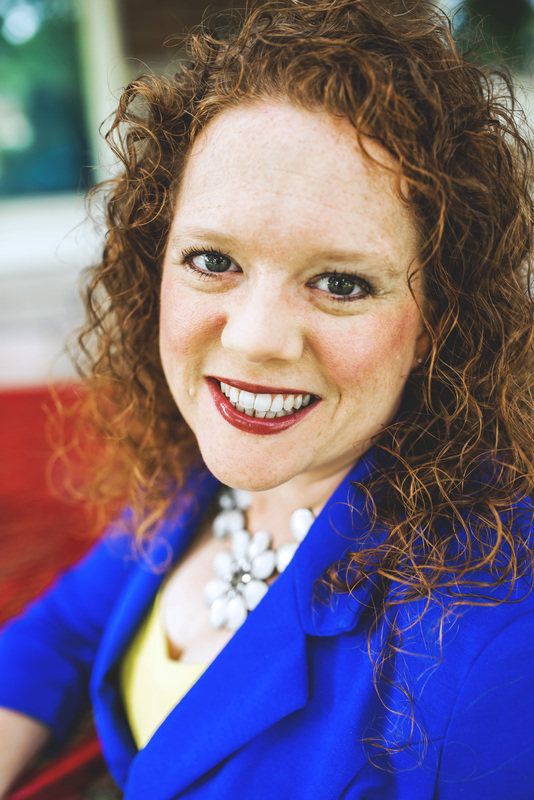 A graduate of Asbury University, Cherie strongly believes that something can come from nothing and that there is always a way for her readers to simplify their lives and their budgets. 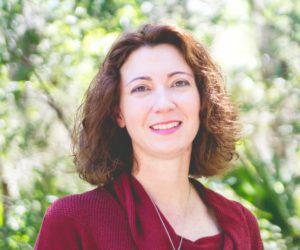 More than anything, through speaking and written word, Cherie longs for others to know that there is hope for getting their finances under control. Her family’s story has appeared in the Wall Street Journal, Yahoo Finance, Redbook magazine, AOL Daily Finance, NBC News, and more. Cherie and Brian reside in Greenwood, Indiana, along with their daughters, Anna and Zoe. Join the court of the Queen of Free on Twitter, Facebook, or Pinterest to find practical, money-saving tips and daily inspiration to slay the debt dragon.